Money is necessary. But it is also very misunderstood. It has no value until we give it value. Money is neither good nor bad until we start to use it: it literally starts to take on our personality. In this one-week series with a live-speaking component, we'll learn a formula that will help set students up financially for the rest of their lives. 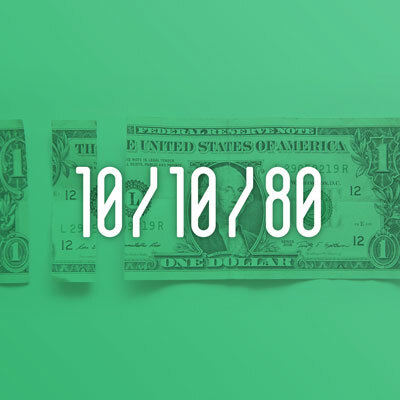 We call this formula the "10/10/80."